Our guide Ytalo stretched out his arms, gesturing at the view for the small group of us. “They call it Lima the gray, or Lima the ugly. It’s always overcast here, but it never rains.” This statement was an introduction to a guided tour we were about to take along the coast Lima, Peru. The sights of Lima that followed were anything but gray, ugly or boring. Particularly because the next thing Ytalo did was give instructions on jockeying our mountain bikes down the rocky hill. “On this side is the brake for the front tire, but try not to use it, you could stop too quickly and flip over the bars.” See, not boring already! We started by taking in the views from the top of the hill where the van had delivered us and our bikes. 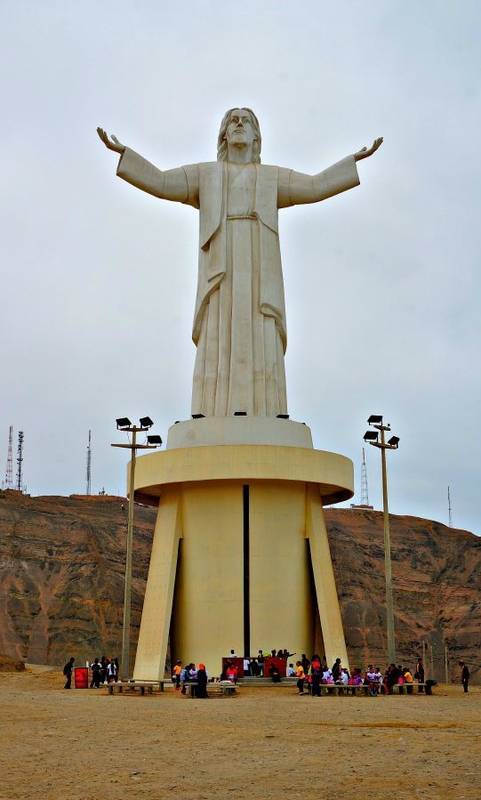 To one side was a huge statue, a smaller version of the Christ the Redeemer statue in Brazil. 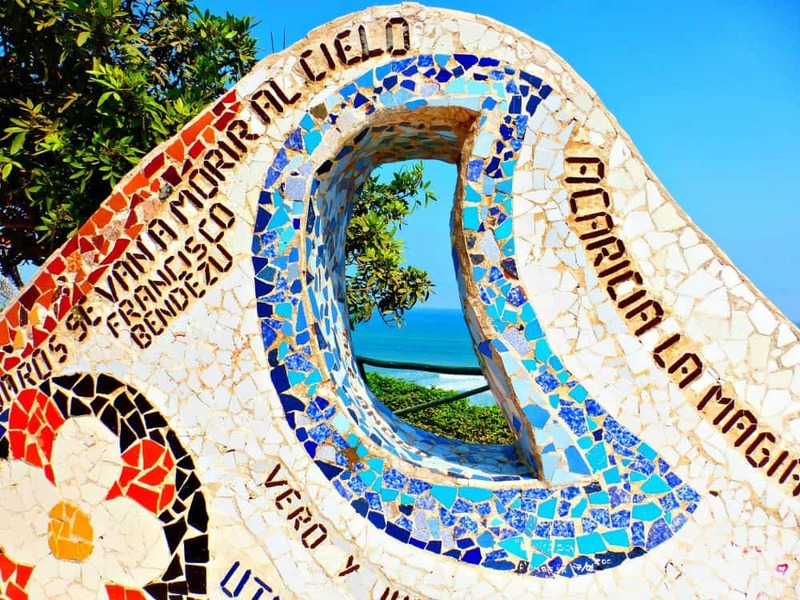 To the other side was a view of the green-blue waters along a stretch of coast line with steep cliffs leading to Lima’s districts of Barranco and Miraflores. And behind us were a sea of houses and ramshackle buildings on the hills, where many of Lima’s poor have taken up residence. The less wealthy areas seemed to make up for the lack of greenery with bright paint. I put any further contemplation about that off, as we began making our way down the hill (focusing instead on which side was that brake on that I wasn’t supposed to use). Cristo Del Pacifico Statue overlooking Lima. Our efforts to get safely down the hill were quickly rewarded with another noteworthy view. We came to a restaurant called El Salto Del Fraile (The Friar’s Leap) perched on a cliff overlooking the water. The restaurant is named after a legend of a friar who fell in love, but when his lover was sent away across the sea, threw himself from the cliff. We went down for a closer look, crossing the stone bridge onto the rocks, just far enough to feel the spray of water from the waves crashing against the rocks. Mental note to self, convince husband to bring me back here for drinks. From here we made our way to district of Barranco. 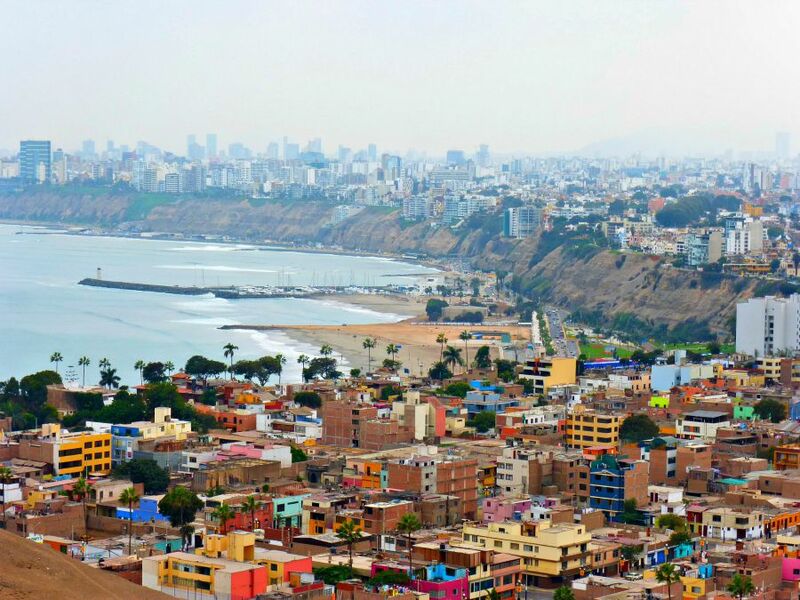 This is the area is known as Lima’s bohemian neighborhood. 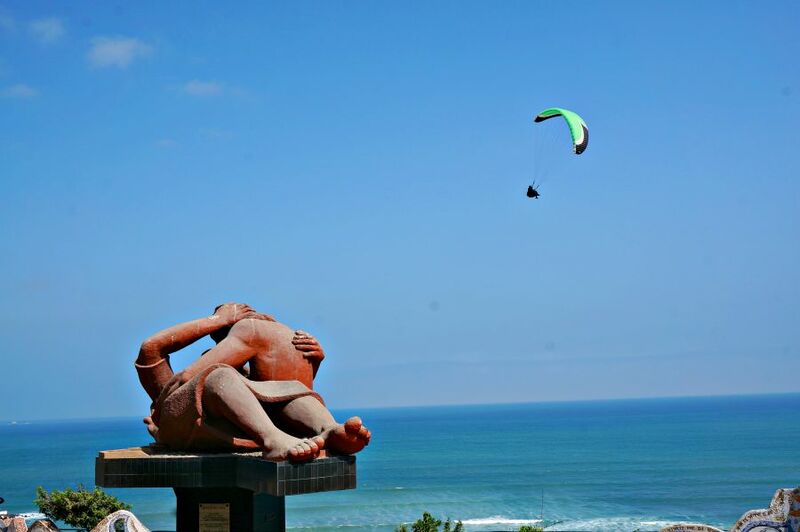 It is home to many of the city’s prominent artists, designers, musicians and surfers. 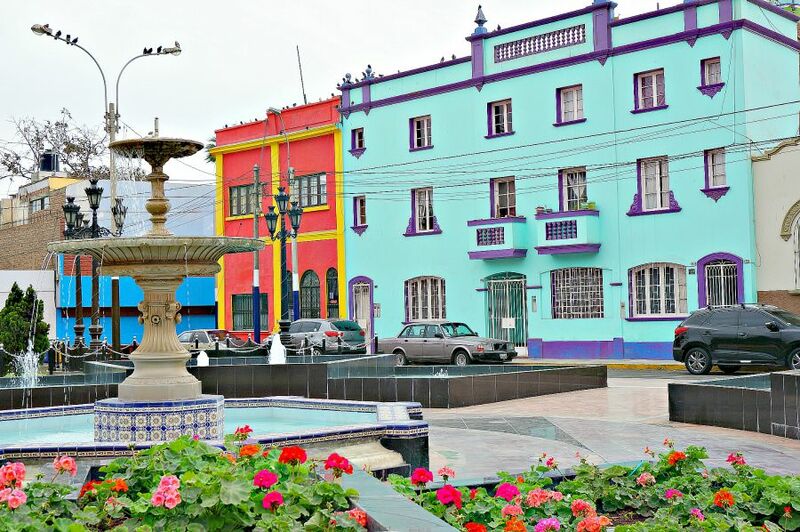 We rolled by beautiful murals, statues, flower lined parks and colorfully painted colonial style buildings (Casonas). We continued making our way along the landscaped path overlooking the water. It was hard not to stop and keep taking pictures. But onward we went, entering the neighborhood of Miraflores (translated “look at the flowers”). 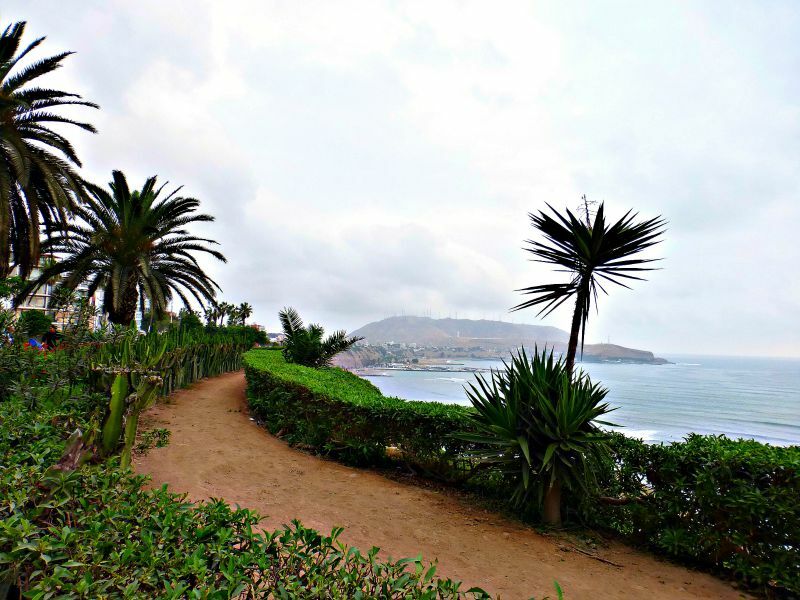 This is the area that has been known as the garden of Lima, and the tradition remains today. I was a little surprised to find a mall tucked into the side of the cliff here. 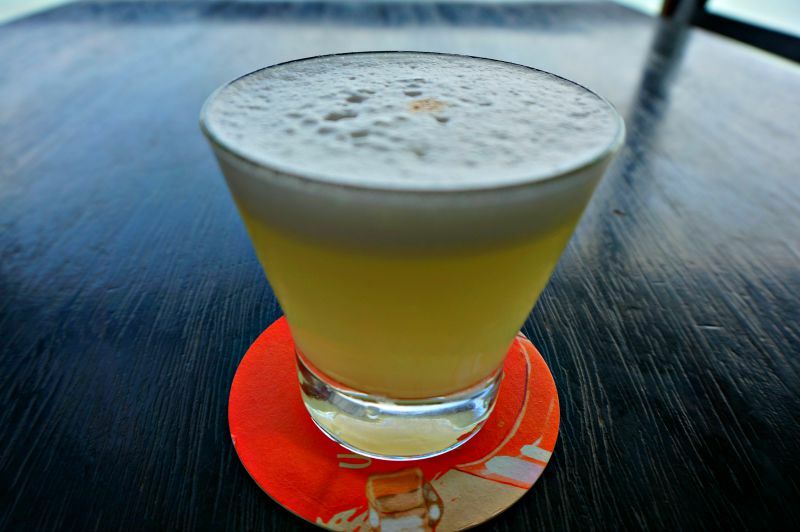 Ytalo recommended coming back here to sample one of Peru’s national drinks – the Pisco Sour. Have a Pisco Sour overlooking the water – Done! Just off in the distance from here we found what was for me the star attraction. Love Park – or Parque del Amor . Filled with blooming flowers, a mosaic wall reminiscent of the Spanish architect Gaudi, and a huge statue of a couple engaged in a passionate kiss. 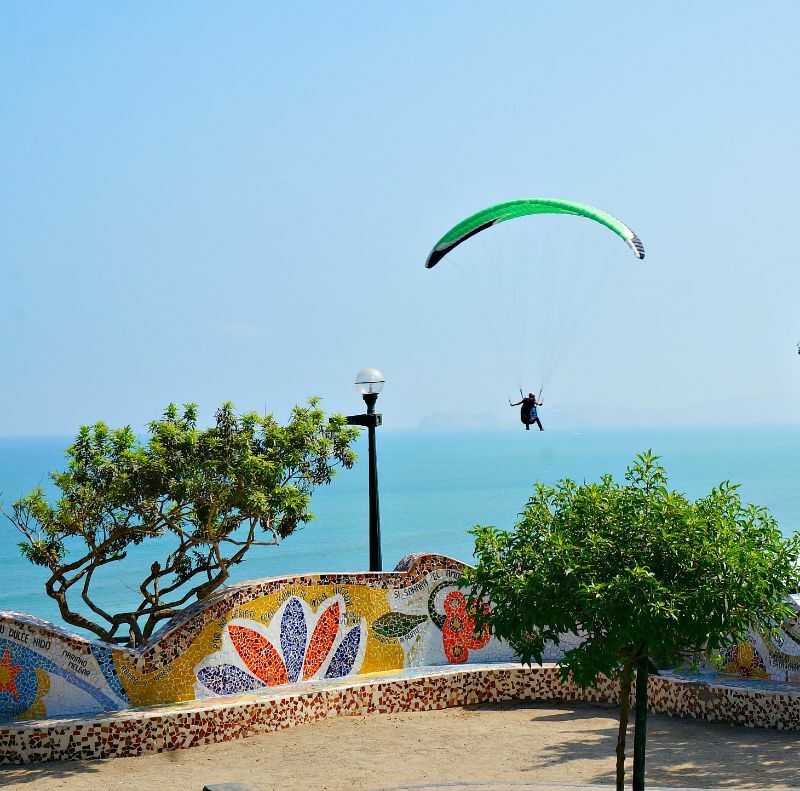 And if all of that wasn’t enough, there is a parasailing launch point just beyond the park so the area is often filled with colorful sails and pilots doing daring acrobatic stunts in the air. It’s a spectacular sight (and if you decide you want to take part, rumor has it the pilots will happily give you a 10 minute ride, including a video, for around $80 US). For those who prefer land locked sports, Ytalo told us that once a year the park is filled with young couples who compete for the longest kiss. We saw a few that seemed to be training for the event as we passed by on our bikes, but who could blame them? This was only our second day in Lima, and we found it to be a lively place that we were looking forward to exploring more, including tracking down some of the famous Peruvian ceviche. Maybe after we finish our Pisco Sour. A special thank you to Lima Urban Adventures who provided us with this tour. As always, our opinions are our own. Lima seems like a very dinamic place. 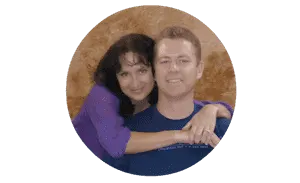 I hope you have time to show Becky and Hank some of the sights. Love the image of the Barranco mural. I’ve seen a lot of street art but this mural is particularly striking! Wow, you have made Lima interesting for me in this post, after only 2 days there…colorful, dynamic, diverse! 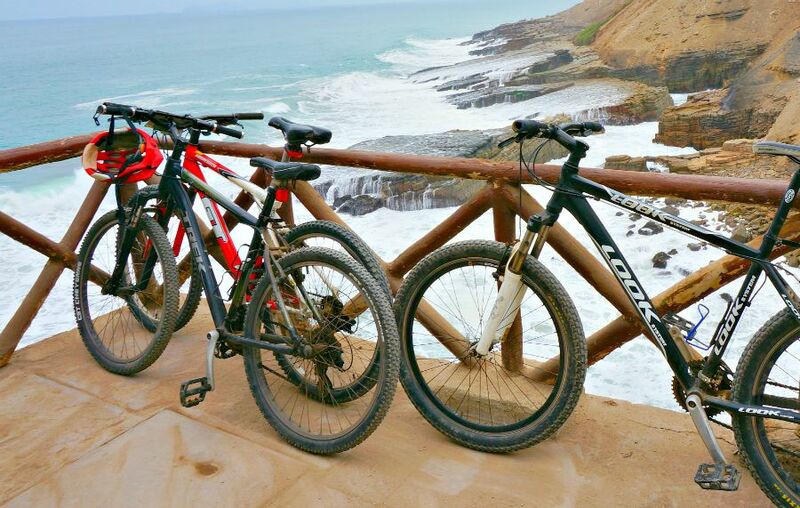 We had a great time in Lima too and would definitely stay in Barranco if we ever found ourselves back there. The Lover’s Park is something else eh? We took bikes out on a tour but a freak accident happened and one of the girls was hit over by a taxi that mounted the pavement. We’d still ride again though, it could of happened anywhere. More on the site if interested. Looking forward to seeing what else you thought of Peru! 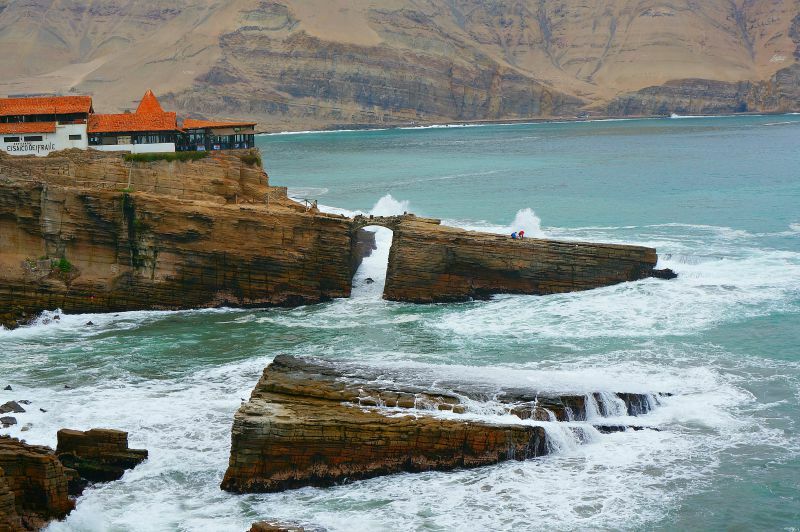 I am adding a Pisco sour at the Lima Cliff Restaurant to my “must drink” list. That natural bridge looks a bit scary though! Did you walk across it? 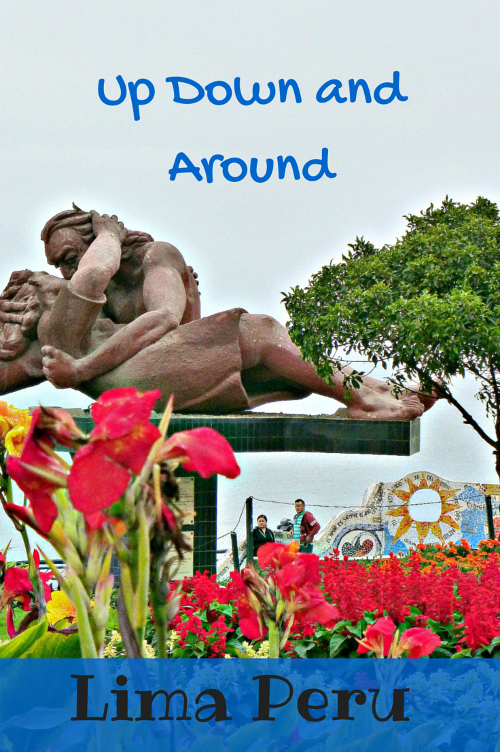 Peru is one of my favorite countries, so of course Lima is a city no visitor should miss. I’ve been contemplating a trip to Lima for a while now. This is definitely some added encouragement. I love the colors and street art! We haven’t traveled to Lima, but I think a guide would be the best way to explore the city. I would probably be the one to flip over the bars of the bike, but the views are totally worth the risk! I love Lina for all these reasons. It may be overcast, but the views are incredible. And the food! I fell in love with the leche de Tigre and the big giant corn. 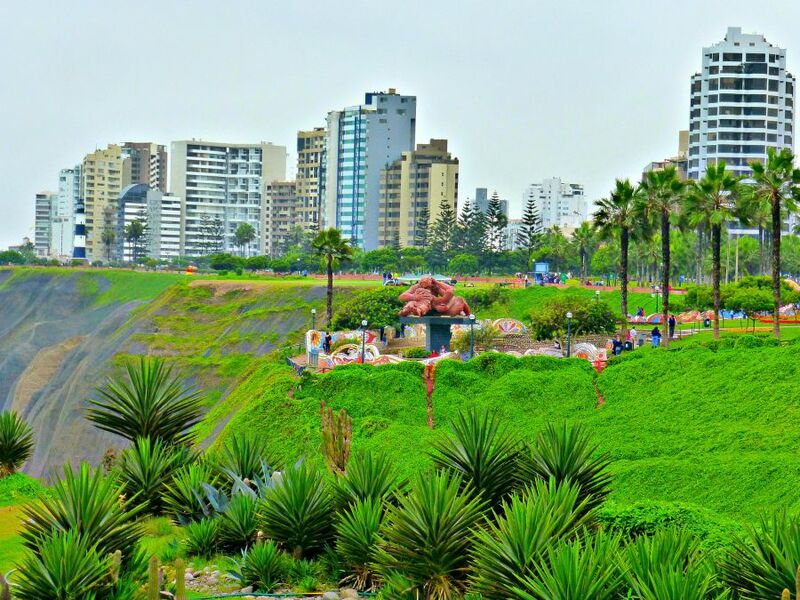 You guys are really making us want to visit Lima! I love that you went on a bike tour, that’s a great way to see any city. The bohemian area looks really cool too. Thanks for sharing. Beautiful! How was the Peruvian ceviche? I’m rather curious how it compares to what we have here in Belize. I’ve seen a variety of pictures, but not entirely sure what the “authentic” version is like. I didn’t try the ceviche while I was in Belize, so hard for me to compare. They claim that it is the limes that grow here that elevate the ceviche. I’m happy to continue sampling! 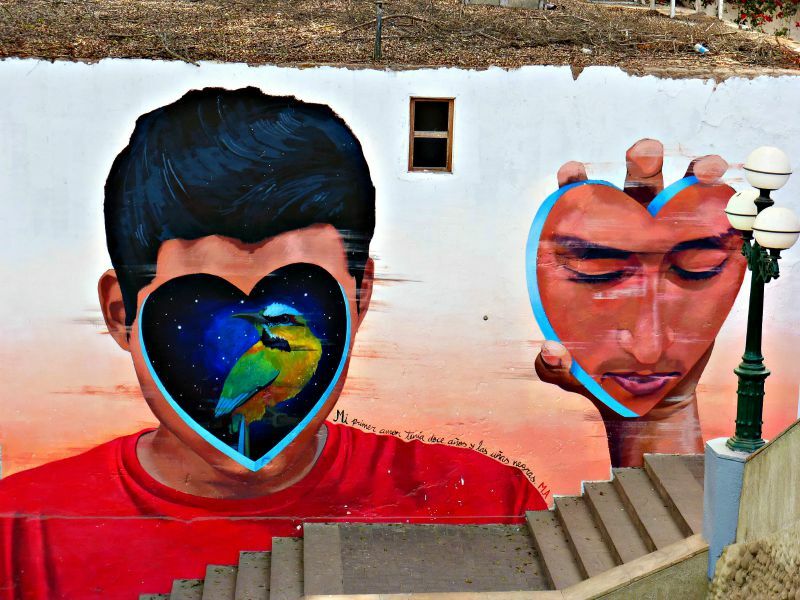 I have never been to Lima (or Peru for that matter) -but the colors (and wow- that mural!) are beautiful! That Barranco Mural is like nothing I’ve ever seen. Both beautiful and thought provoking. So glad you had a wonderful time on your trip! Will definitely have to visit Peru soon.